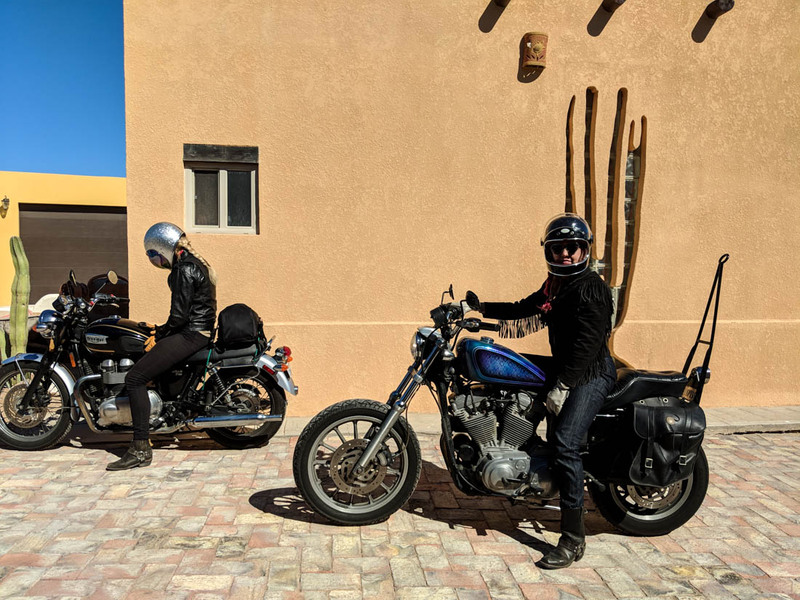 A few weeks ago, Katie and I decided to plan a ride to San Felipe in Baja, Mexico over a long weekend. Our friends Genevieve and Nathalie came down from Orange County and LA to join us, and together we set off on the 250-mile ride from San Diego. First we headed east for about 100 miles, to Calexico, where we crossed the border into Mexicali. 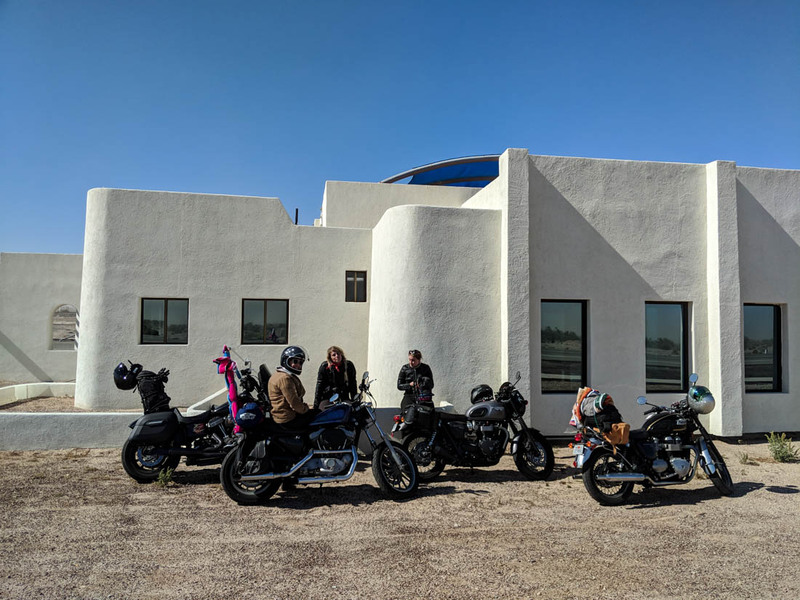 I was the only one in the group who had been to San Felipe, and the only one who had ridden motorcycles in Mexico before, so I was tasked with leading the pack through the somewhat chaotic city traffic and into the desert. The 5 highway between Mexicali and San Felipe is one of my favorite roads, despite the fact that it’s almost completely straight the entire way. You’re surrounded by an ever-changing desert landscape (from sand to cactus to red rocks) and you can see 20 miles ahead of you at any given moment. 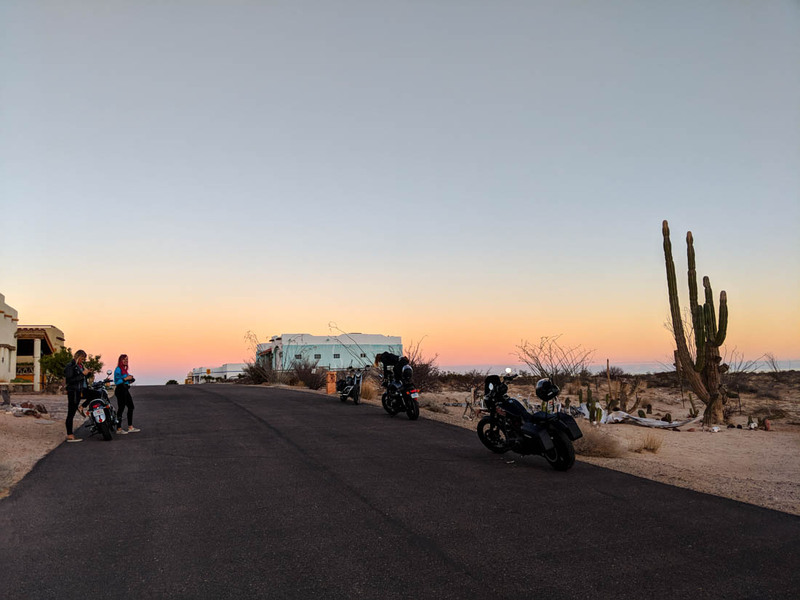 And at some point, the Sea of Cortez opens up to the east, which — if you live on the west coast and is used to seeing the ocean to the west — is a real trip. 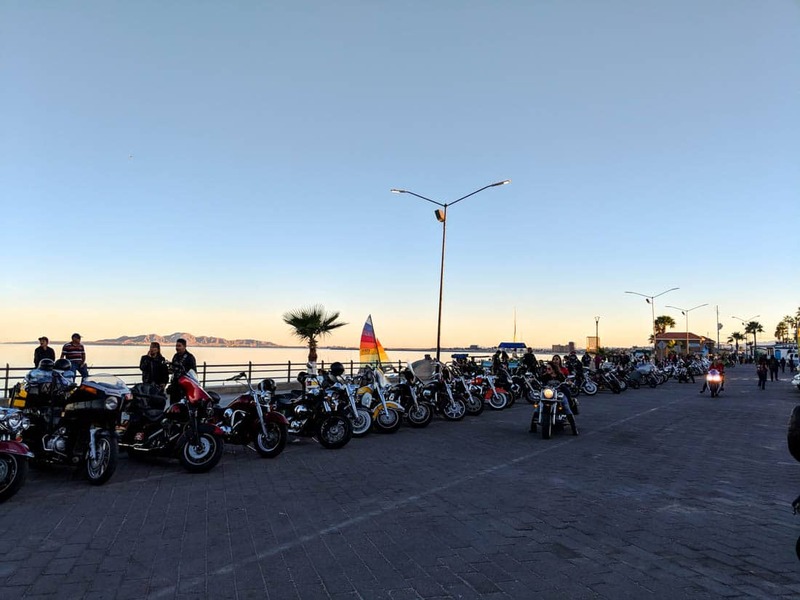 We had been planning to enjoy a nice, quiet weekend away from home, but when we arrived in San Felipe we were greeted by a massive bike rally. 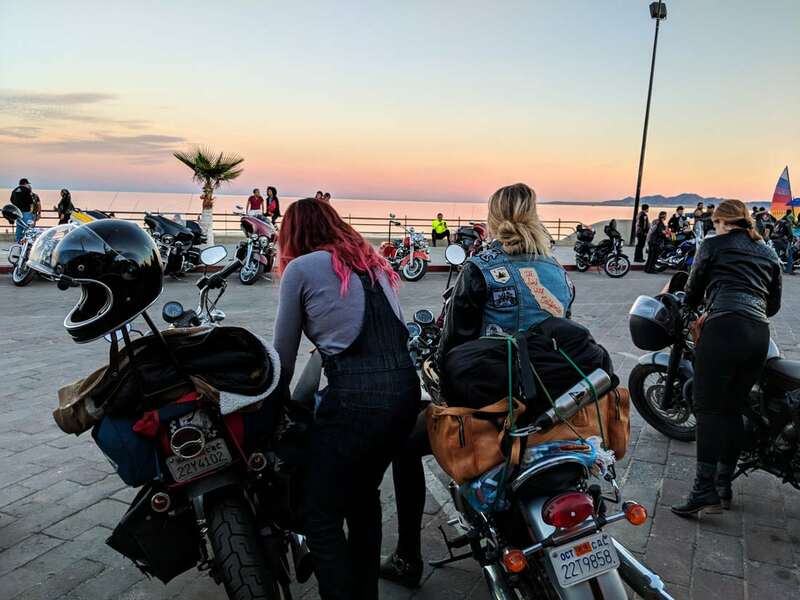 A quick Google search revealed that 2000 bikers from different Baja clubs were expected here for the weekend. So much for peace and quiet! 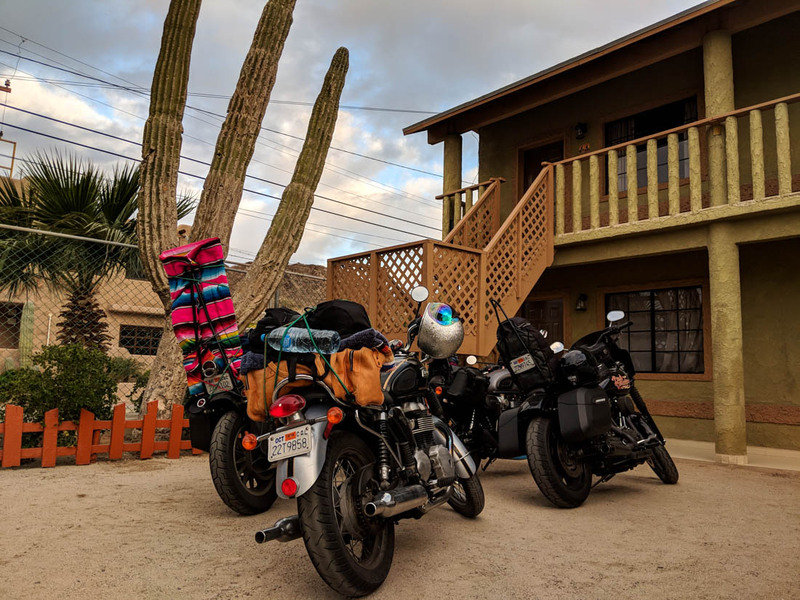 We had rented an Airbnb 12 miles south of town, so after grabbing some food on the Malecón (aka San Felipe’s boardwalk), we packed up and headed south. We were running late and it was getting so dark we couldn’t see a thing, and the road was extremely rough. Even going slow I hit a few massive potholes hard enough to pierce the six-pack of Corona I had stuffed in my fairing, so when we finally arrived at the house, my bike and I were completely covered in beer. Oh well. Day two we headed out for more adventures! The road back into town was still rough, but at least in the daylight we were able to avoid all the potholes. Traveling with two professional photographers means stopping for photos a lot. Which I’m totally fine with, especially when your surroundings look like these. Genevieve took some sweet Polaroid photos of Katie and me. On our way to dinner later that evening, we took a very scenic detour through the development where we were staying. 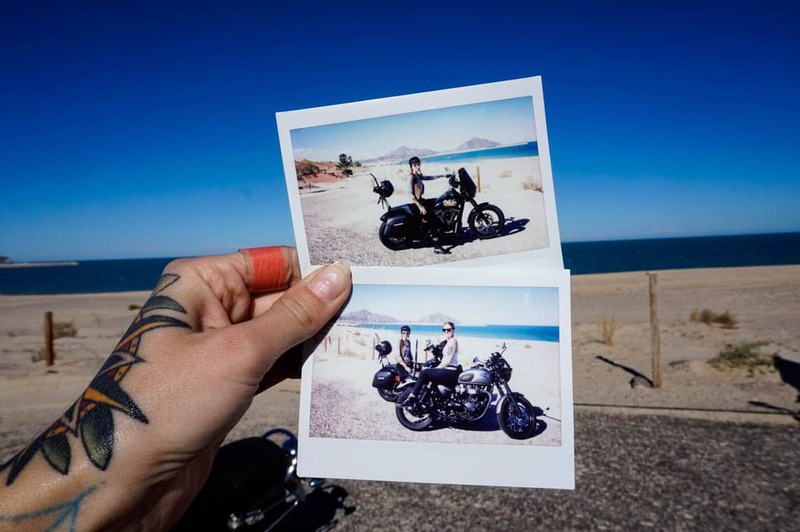 Here’s a behind-the-scenes of a pretty amazing Instagram photo. The next day, we attempted to head back home – but we only made it about 25 miles before we got caught in a super heavy desert sand storm. Seriously, I’ve never experienced anything like it. 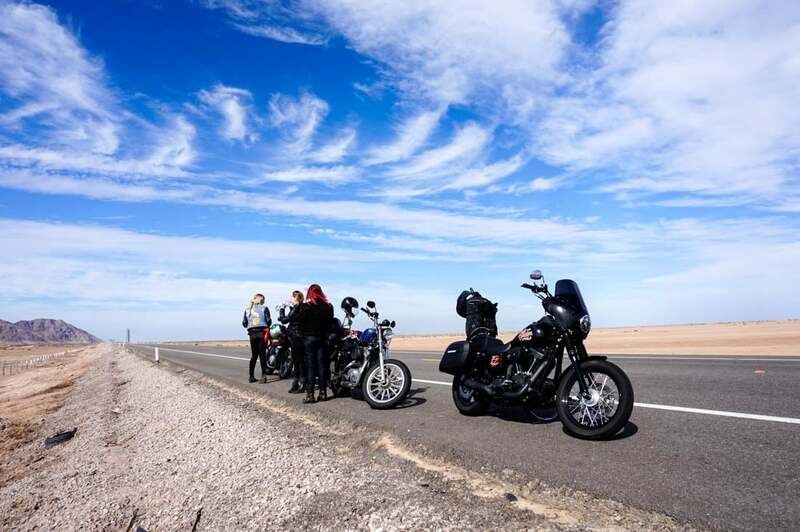 The winds were so heavy our bikes were almost parallel with the ground, and when we had to stop at a military checkpoint, it took everything I had to keep my bike from blowing over. Since we were in the middle of the desert, there was sand and debris blowing everywhere, and we realized it would be way too dangerous to keep going. We hid behind the only structure we could find nearby while texting our bosses to tell them we wouldn’t be coming into work the next day. 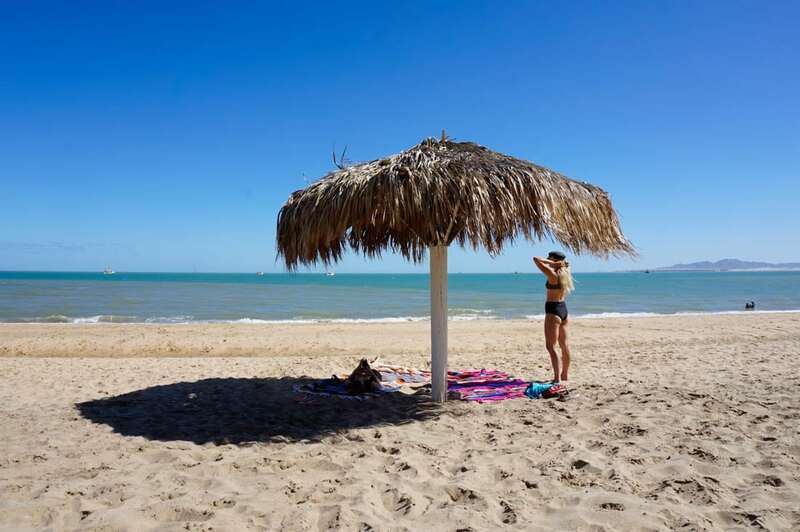 Then we headed back to San Felipe and went to the beach instead. It could’ve been worse, I guess. On day four, we were finally able to make it back home. The winds had died down, but the temperatures had dropped considerably. It was in the 40s and 50s for most of the ride, with snow on the ground for parts of it. It was a very, very cold ride, but I’ll take riding through snow over heavy winds any day of the week. 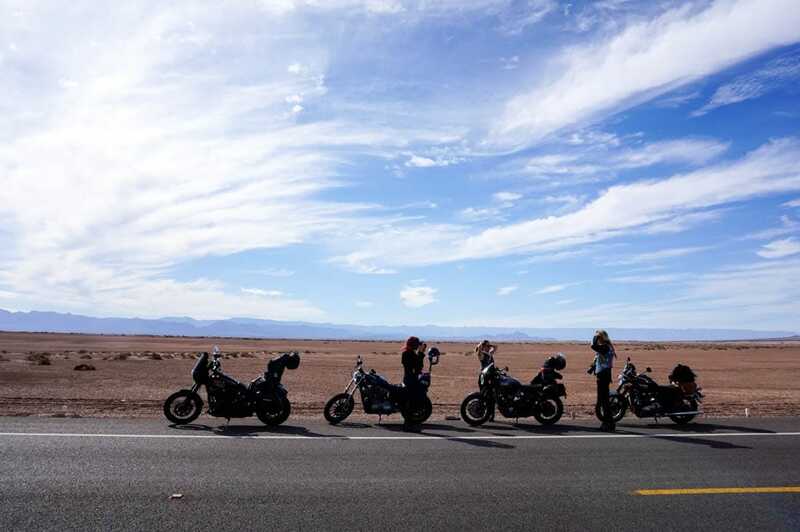 Want to head south of the border for a Mexican moto adventure of your own? Check out this post for some useful tips.